You don’t have to be a hard-core athlete to appreciate endurance. Sometimes we want to push ourselves physically, for all sorts of reasons. Walking 18 holes. Winning the football game. Playing doubles. Running that annual 5K. 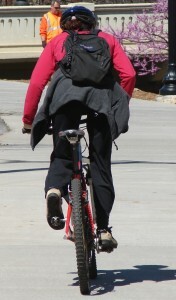 A long bike ride on Saturday. So it’s “competition” day . . . now what? You may have trained and trained, but have you consistently fueled your body with the right substances (foods and fluids)? It really matters what fuel you choose; why wouldn’t it? And the body’s energy is finite: if it’s not resupplied, it will run out. Push it hard, it runs out faster. Fuel incorrectly, and all your training will be for naught. What a pity. Here are some Keys to give you a competitive edge. They will unlock a new level of physical success for you, in whatever arena you need it. Key #1. Plan, plan, plan. You already know you need to prepare physically for an event. But even more key is planning ahead nutritionally. Take time to learn how starches, carbs, protein and hydration fuel the body for highly physical endeavors, and how they’re also used to help it recover quickly, building lean muscle tissue as a result. I’ve given you some great starter tips below. Key #2. Practice, practice, practice . . . but I don’t mean training! Literally practice your “competition day” eating before that important event. A coach once told me ‘ if you put the maximum effort into your practice, you will have the maximum benefit during your game days.’ Now I tell all my athletes that same thing. Key #3. Fuel properly the night before. The big pre-competition “no-no’s” are 1) anything with a lot of sugar; 2) fried or spicy foods; 3) high fat foods: gravies, sauces, creamy soups, fatty meats. And DON’T try any foods you’ve never eaten before. Key #4. Same no-no’s apply on game day. Eat starches approximately 3-4 hours prior to your event, and make the portions slightly smaller than normal meal. They give you “timed-release” energy. About 30-60 minutes before starting the event, top off your tank with fluids and a small snack (a piece of fruit or granola bar). Key #5. During your competition (or on tournament days with multiple events or games) make sure you’re drinking at least 8-12 ounces of fluids between each game or event. Eat a healthy snack – such as yogurt, a sports bar or trail mix – between each game and event. If you’re exercising for longer than an hour without taking a long break, you need to keep refueling during the event, with foods like pretzels, fruit, granola or fruit snacks. Remember: drink plenty of fluids! Key #6. When in doubt DON’T go without! Some people find that liquids are easier on their stomachs while they exercise. But what’s in the liquid is critical. Don’t go without proteins or nutrients; try chocolate milk, smoothies, or meal replacement shakes. Got it? Plan ahead, practice, hydrate and don’t go without fuel. Hydration is often left out of nutrition, but it shouldn’t be. Staying hydrated is important not only to improving performance in sports and other activities, but it plays a vital role in helping maintain a balanced diet and healthy lifestyle. Necessary to the healthy function of all internal organs, water must be consumed to replace the amount lost each day during basic activities. Water is also proven to aid in weight loss. It helps you feel full so you eat less, quenches thirst without adding calories and allows your body to function at its top capability. 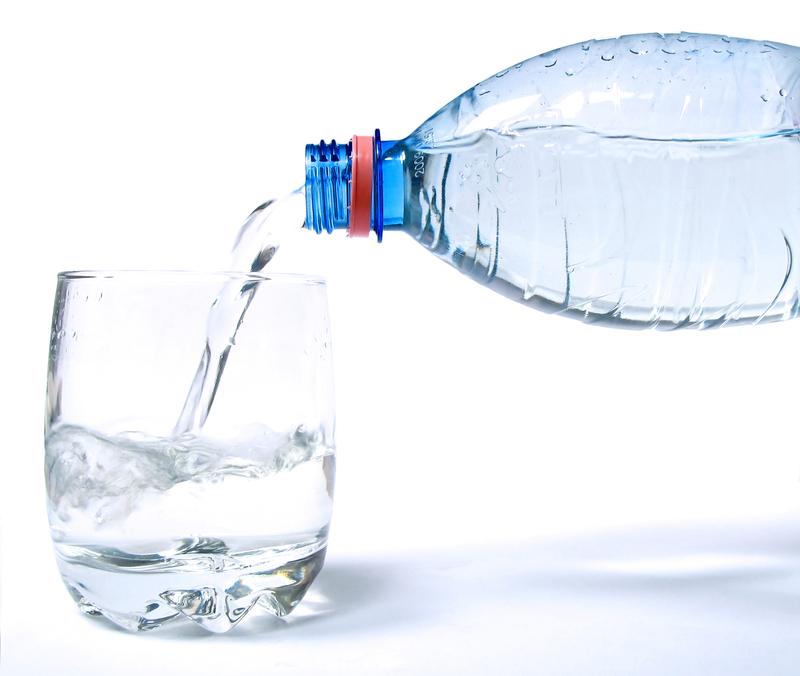 Keeping hydrated helps muscles look more toned, a look that many people desire. Being hydrated also helps your skin look and stay healthy. Water regulates the body’s temperature, cushions and protects vital organs, and aids the digestive system. In 2004, the Food and Nutrition Board released new dietary reference intakes for water. It is recommended that women consume 2.7 liters daily and men consume 3.7 liters through various beverages, 80 percent, or in food, 20 percent. Active individuals need even more, particularly if they’re exercising in hot weather. This is especially important during the 24 hours prior to vigorous exercise. During exercise, our body produces more heat, causing sweat to cool us down. When we sweat out our water supply, we must consume more water to keep our core temperature down. In one hour of exercise, the body can lose more than a quart of water, depending on exercise intensity and air temperature. If there is not enough water for the body to cool itself through perspiration, the body enters a state of dehydration. For people who regularly exercise, maintaining a constant supply of water in the body is essential to performance. Dehydration leads to muscle fatigue and loss of coordination. 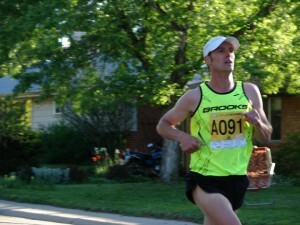 Even small amounts of water loss may hinder athletic performance. In a dehydrated state, the body is unable to cool itself efficiently, leading to heat exhaustion and possibly heat stroke. Without an adequate supply of water, the body lacks energy and muscles may develop cramps. To prevent dehydration, you must drink before, during and after a workout. During exercise, water is the best fluid replenisher for most individuals, although sports drinks help replace lost electrolytes during high intensity exercise exceeding more than 60 minutes. Keeping hydrated can improve performance by delaying dehydration and maintaining balanced blood-sugar levels during exercise. It also lowers the risk of catching a cold by boosting your immune system. 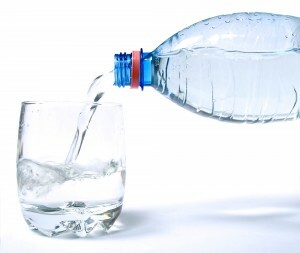 Drink 17-20 ounces of water two to three hours before the start of exercise. Drink 8 ounces of fluid every 20 to 30 minutes prior to exercise or during warm-up. Drink 7 to 10 ounces of fluid every 10 to 20 minutes during exercise. Drink an additional 8 ounces of fluid within 30 minutes after exercising. Drink 16-24 ounces of fluid for every pound of body weight lost after exercise. Water is your best option. Tea (non-caffeinated and unsweetened) and 100 percent juice, not cocktail drinks, are good alternatives if you just need something else. Sports drinks are also good for your body during and after exercise. Coffee and alcohol don’t need to be nixed completely, but should be consumed in very small amounts. Two cups of coffee a day isn’t going to help your body and scientific evidence suggests alcohol consumption can interfere with muscle recovery after exercise and negatively affect a variety of performance variables. As far as options that you should stay away from, soda is at the top of the list. While drinking one soda probably won’t hurt you, it provides little hydration. In fact, frequent consumption of soda can be more harmful to your body than any of the other drinks listed above, with the exception of alcohol. In the end, staying hydrated by drinking water throughout the day and especially during exercise is highly recommended to support good nutrition and healthy living. 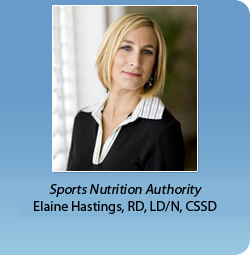 Elaine Hastings is a registered dietitian and owner of Associates in Nutrition Therapy in Fort Myers. Contact her at Elaine@eatrightRD.com or visit her at AssociatesinNutrition.com.